Select images from right to see before and after pics. They're all pretty rough since they were for a timed contest; I felt it would be best to keep them in their original form rather than spending hours retouching minor stuff I didn't have time for initially. Mouse over images to see the chopped version. 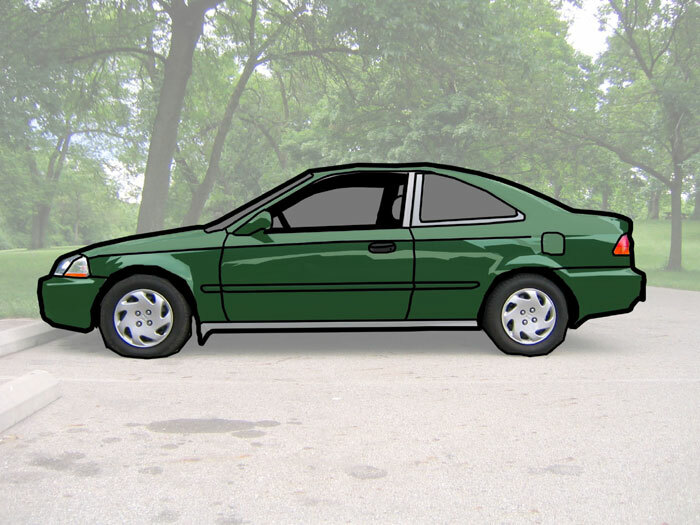 The first image is just a quick cell shading of a civic; the original image is lost somewhere in the vast nothingness of my hard drive.